Roaring Recitals is a stunning anthology revealing the range and power of contemporary Nepalese imagination. 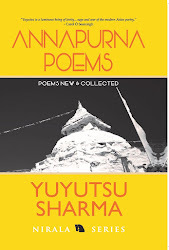 Translated into English for the first time by well-known poet Yuyutsu R.D, active in Nepal’s literary life for last two decades, this is a ground-breaking volume of solemn rage displaying richness and diversity of Nepali poetry. Since politics has always played a decisive role in every field of Nepal, including literature, Yuyustu R.D. 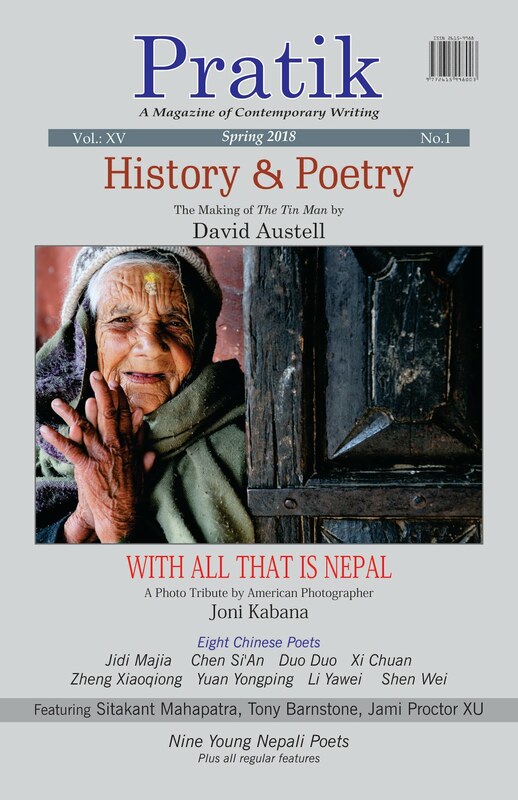 translated a selection of five major Nepali poets who have in some way or the other shattered ugly castles of orthodoxy and autocracy to usher modernism in the life and literature Nepali. For it’s Gopal Prasad Rimal who liberated Nepali literature from the shackles of traditional Sanskrit usage and meter and initiated a tradition of prose poems, employing native symbols and folklore, to voice the agony of Nepalese people suffering at the hands of Rana oligarchy. Roaring Recitals is a dazzling treasure that shall interest those readers worldwide who are curious to acquaint themselves with a secret flame of vitality, a creative turbulence that has remained at the center of modern Nepal’s creative life. A highly engrossing account of world’s youngest republic passing through great historic transformation. 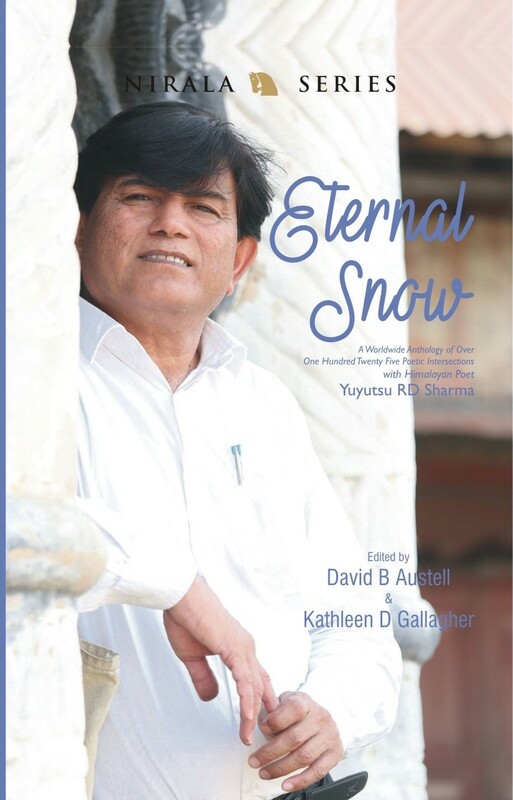 Internationally known poet and columnist for several dailies including The Himalayan Times and The Kathmandu Post, Yuyutsu RD Sharma for the first time brings alive the secret commotion behind the great change in Himalayan nation that the whole world has been watching curiously. In his lucent prose, he puts together his best to unleash the myriad colors of violence in the contemporary Nepal and in the rest of the world during his legendry travels. Terror on the deserted Nepalese highways, merciless butchering of innocent Nepali workers in Baghdad, dismal day of London Bombing, murder of Theo van Gogh, the State of emergency in India, the book captures rare moments in contemporary history that readers would treasure not just for themselves but for the posterity. Here you will find a distinguished poet churning out his best prose, at best of his poetic capabilities. Yuyutsu R.D. Sharma is a distinguished poet and translator who was born at Nakodar, Punjab, and moved to Nepal when he was very young. He now lives in Kathmandu and edits Pratik: A Magazine of Contemporary Writing and contributes literary columns to Nepal’s leading papers, The Himalayan Times and The Kathmandu Post. 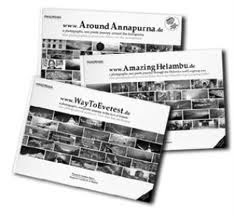 He has published nine poetry collections including Space Cake, Amsterdam, & Other Poems from Europe and America (Howling Dog Press, Colorado, 2009), Annapurna Poems,(Nirala, New Delhi 2008), and www.WayToEverest.de: A photographic and Poetic Journey to the Foot of Everest, (Epsilonmedia, Karlsruhe, Germany, 2006) with German photographer Andreas Stimm. He is the recipient of fellowships and grants from The Rockefeller Foundation, Ireland Literature Exchange, The Institute for the Translation of Hebrew Literature, and The Foundation for the Production and Translation of Dutch Literature. He is presently on a reading tour in Canada and the U.S. The prelaunch of 'Space Cake, Amsterdam, and Other Poems from Europe and America' was held on the 2nd of September in the Lecture Hall of Nepal Tourism Board. Yuyutsu RD Sharma, an eminent poet and translator, who delivered a few of his favorite poems and shared some personal experiences of his travel. 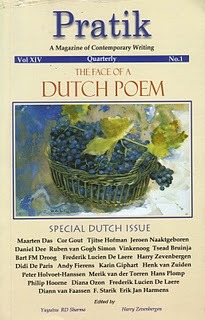 Poems titled 'At 40 you die', 'Temple London' and 'Space Cake, Amsterdam' were discussed among others. Sharma shared the feeling of euphoria and paranoia he'd experienced. A 'space cake,' (common in regions with liberal drug policies), are bakery products containing a form of cannabis usually hash or marijuana. 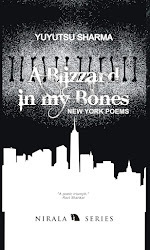 Edited by Michael Annis, the book contains poems that celebrate the political and social aspects of life. Sharma also shared with the audience how he was boisterously travelling about spreading poetry, passion and knowledge about the Himalayas. 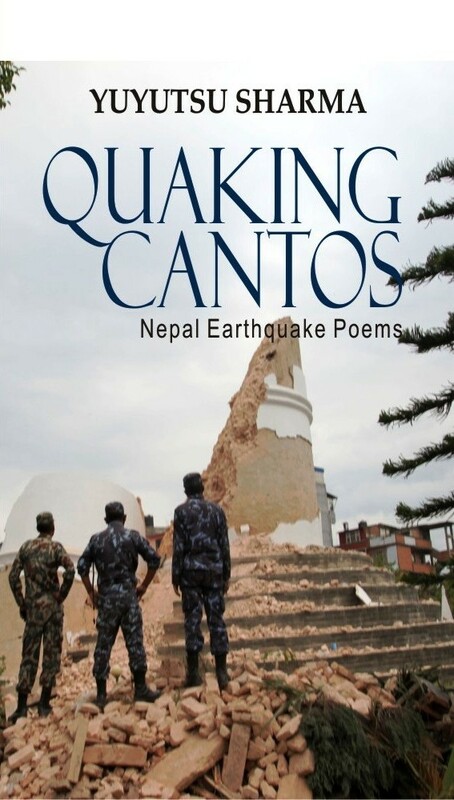 Although it is already published by Howling Dog Press, (Colorado, U.S.A), 'Space Cake, Amsterdam, and Other Poems from Europe and America' is being published by Nirala Publications (New Delhi) too and is already available in Kathmandu's White Lotus Book Shop. * and at 7:00 p. m. at Morrison Hall, SUNY Orange, Middletown. core of a bamboo grove. on a cold table of Establishment. that poetry doesn’t mean anything? and that like the earth itself it is dying? an empire of lecherous tycoons? for the restoration of a regime of written words. her makeup on for a bestseller’s blurb. 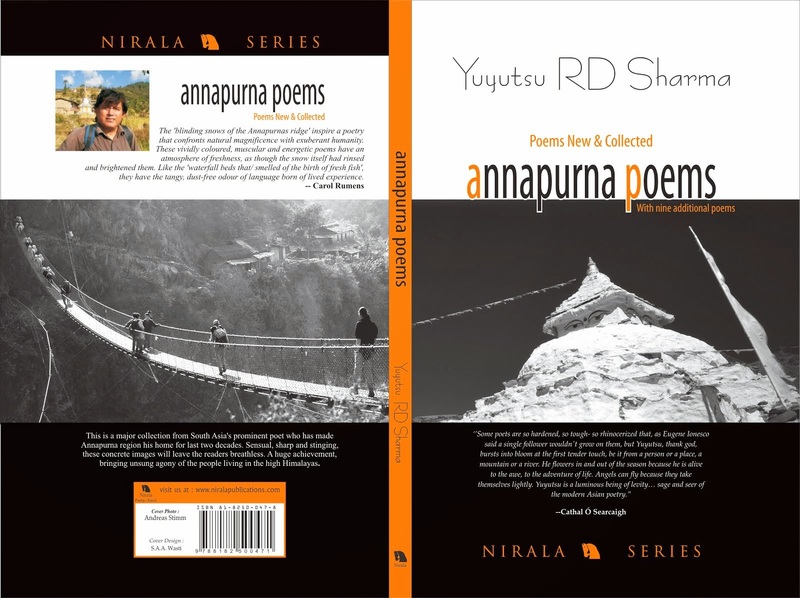 Nirala Publications, (New Delhi, www.niralapublications.com) has announced the forthcoming publication of Chicagoland Poets. 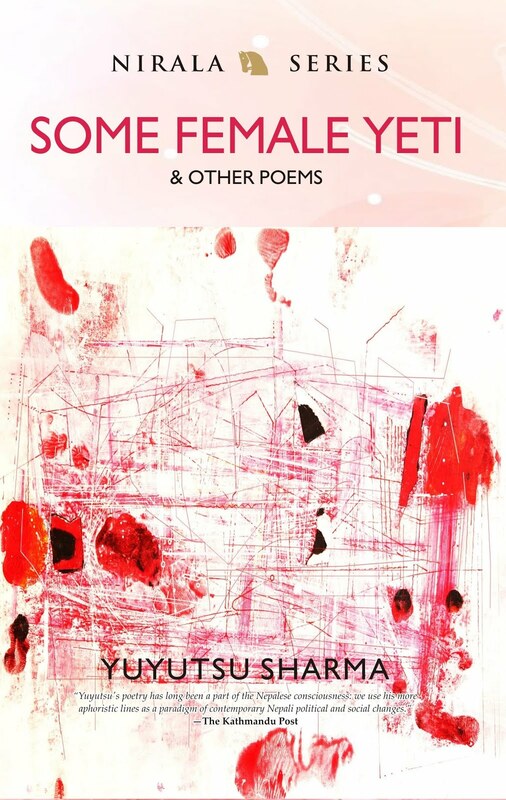 The 300-page anthology, edited by Illinois poets Robin Metz and Nina Corwin, will be launched in Chicago, New York, London, New Delhi, and Kathmandu for worldwide distribution. The Series Editor is Yuyutsu R.D. Sharma. Named after the great Indian poet, Suryakant Tripathi ‘Nirala’, Nirala Publications is a significant South Asian publishing house featuring best known as well as little known authors from India, Nepal, and rest of the world. Over past two decades, it has featured scores of internationally known writers like Rabindra Nath Tagore, Jayanta Mahapatra, David Ray, Cathal O’ Searcaigh, Rishikesh Shaha, Larry G Peters, Yuyutsu RD Sharma, Murari P Regmi, Ronny Someck, Gopal Prasad Rimal, Ramanand Rathi, Laxmi Devkota, and Evald Flisar. Over the years its focus has been Nepal, Buddhism, shamanism, and the Himalayan studies. 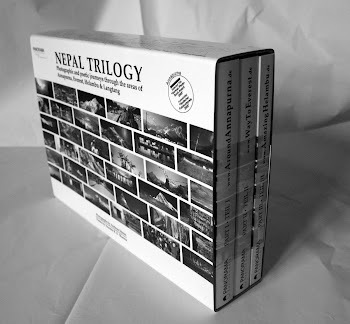 Today it remains the largest publishing house in the world to publish maximum books on Nepal. It also aspires to bring to the Asian readers the best known literature from all over world, especially poetry. Nirala also collaborates with several foreign publishers and institutes and in future hopes to present to its readers the healthy literature and original research from all over the world. In addition, it supports Pratik, A Magazine of Contemporary Writing edited by Yuyutsu RD Sharma and has been instrumental in making publication of the magazine’s several special issues. 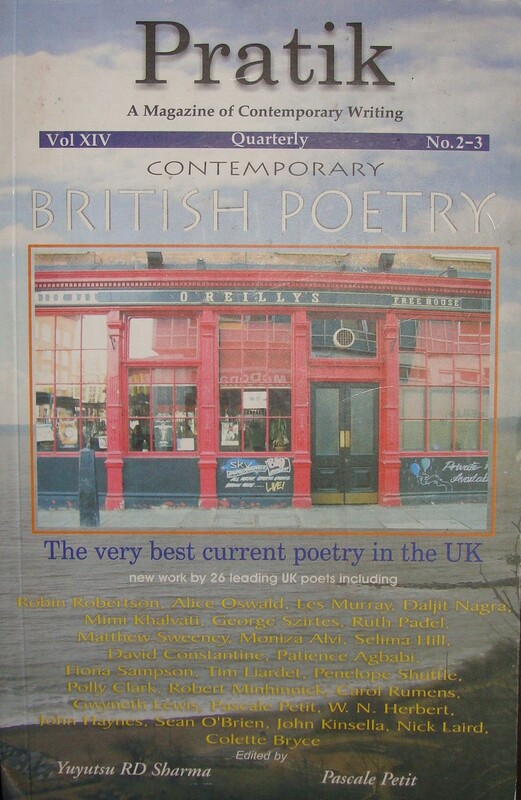 Among many of its Special issues, most recent remains the Special British issue featuring the very best of contemporary poetry from the UK including Moniza Alvi, Ruth Padel, Robin Robertson, Sean O’Brien, David Constantine, Mimi Khalvati, Fiona Sampson, Alice Oswald, Daljit Nagra, Patience Agbabi, Selima Hill, Matthew Sweeney, Robert Minhinnick, Gwyneth Lewis, Les Murray, Tim Liardet, George Szirtes, Pascale Petit, John Kinsella, Polly Clark, Nick Laird, Colette Bryce, John Haynes, Carol Rumens, Penelope Shuttle, and W.N. Herbert. Pascale Petit, leading British poet and Former Editor of Poetry London remained its Guest Editor. For the forthcoming Chicago Anthology, poets born or currently living in Chicago (or environs) may submit up to five poems of any length on any subject (including, especially, poems about Chicago and environs, or southeast Asia). Poets not born or currently living in Chicago may also submit up to five poems on any subject related to Chicago (or environs). While unpublished poems are preferred, previously published poems are welcomed. A statement indicating that the poet retains reprint rights should accompany each submission of previously published poems. A brief biographical statement of 100 words (indicating the poet’s ties to Chicago, if applicable) should accompany the submission. Deadline for submissions is August 31, 2009 and should be emailed to: treehouse523@sbcglobal.net in a single .doc or .rtf file with Chicagoland Poetry in the subject line OR addressed to: Chicagoland Poetry c/o Nina Corwin 523 S Plymouth Ct, Chicago, IL 60605. Please include SASE for reply only. MSS will not be returned. 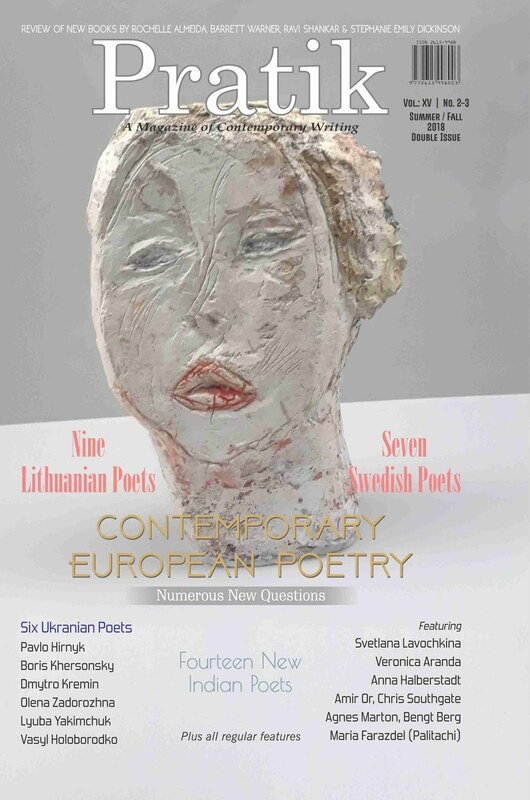 Poets included in the anthology will receive a complimentary copy. La poésie de Yuyutsu R. D. Sharma mêle humour et gravité pour raconter l'expérience commune humaine. Entendre ses poèmes en népali, c'est entendre un chant venu des plus hautes cimes, mais c'est aussi pénétrer les fêlures de la modernité du monde. Qu'il évoque les porteurs de l'Himalaya, qu'il raconte ses aventures à New York, il décrit les expressions fondamentales de l'humanité en mêlant les rêves, l'espoir et la réalité. Son travail poétique est aussi bien nourri des grands auteurs (Shakespeare, Brecht, Pinter...) que de situations inédites et personnelles. Annapurnas & Stains of Blood is a highly engrossing account of world’s youngest republic passing through great historic transformation.